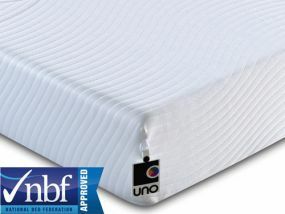 Breasley have been one of the country's leading foam manufacturers for over 40 years. They have accumulated all of their expertise to produce amazing foam mattresses, and the products in their small double ranges are no exception, giving you an amazing value for money option for a master bedroom where space is at a premium, a guest room or for a teenager's bedroom. 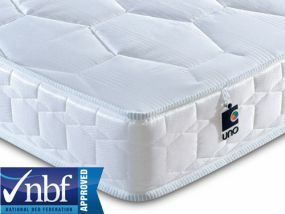 They only use the highest grade reflex and memory foam to make up their mattresses, ensuring optimum comfort and enjoyment thanks to hypoallergenic and anti-bacterial memory foam. It's this high-grade foam which will also ensure that you never wake up too hot, as ultra-high breathability is key in their design. Our free delivery policy is a great reason to purchase your Breasley small double mattress from us at Bedz 'R' Us, and you'll enjoy great savings when you do. Plus, don't forget to check if the small double mattress you have your eye on is part of the Bedz 'R' Us selected range that benefits from free next day delivery!